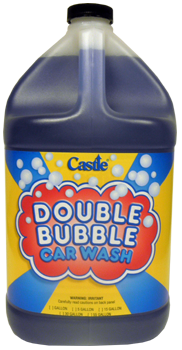 Castle® Double Bubble™ is the professional’s choice when washing vehicles because of its neutral PH. 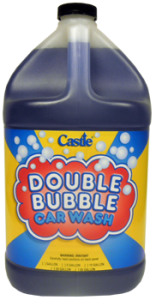 It does an amazing job of loosening dirt and floating away the grime while not removing wax. 1. Vehicle surfaces should be cool and out of the sun. 2. Pour 4 oz. into a clean empty bucket. 4. Wash with a brush or mitt. 6. Dry with towel or Castle® Pro Wipe Chamois.